Sunny Los Angeles can be a dark place indeed in Cassandra Clare's Lord of Shadows , the sequel to the #1 New York Times and USA TODAY bestselling Lady Midnight . 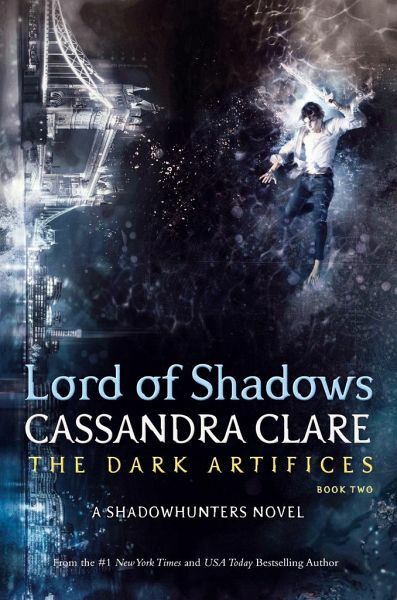 Lord of Shadows is a Shadowhunters novel. Emma Carstairs has finally avenged her parents. She thought she'd be at peace. But she is anything but calm. Torn between her desire for her parabatai Julian and her desire to protect him from the brutal consequences of parabatai relationships, she has begun dating his brother, Mark. But Mark has spent the past five years trapped in Faerie; can he ever truly be a Shadowhunter again? And the faerie courts are not silent. The Unseelie King is tired of the Cold Peace, and will no longer concede to the Shadowhunters ' demands. Caught between the demands of faerie and the laws of the Clave, Emma, Julian, and Mark must find a way to come together to defend everything they hold dear-before it's too late.